An emergency call comes over police scanners about a child abduction in NYC. Citizen App users in the immediate area are sent an alert asking users to look out for a Green Honda Sedan. These same users are asked to enable live streaming if they see a Green Sedan in the area. Videos begin emerging in real-time, streaming video about the vehicles location. This information is fed directly to law enforcement who are able to locate the vehicle after it pulls into a parking garage. Law enforcement apprehend the suspect and a notification is sent out to Citizen users that the child has been recovered. 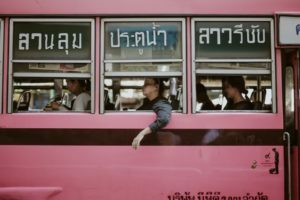 In terms of driving engagement, Citizen resembles Snapchat and other social media platforms whose interfaces are designed to be friendly and encourage engagement. As the images above show, users on the platform see a map of their respective cities with hot spots for current reported crimes. 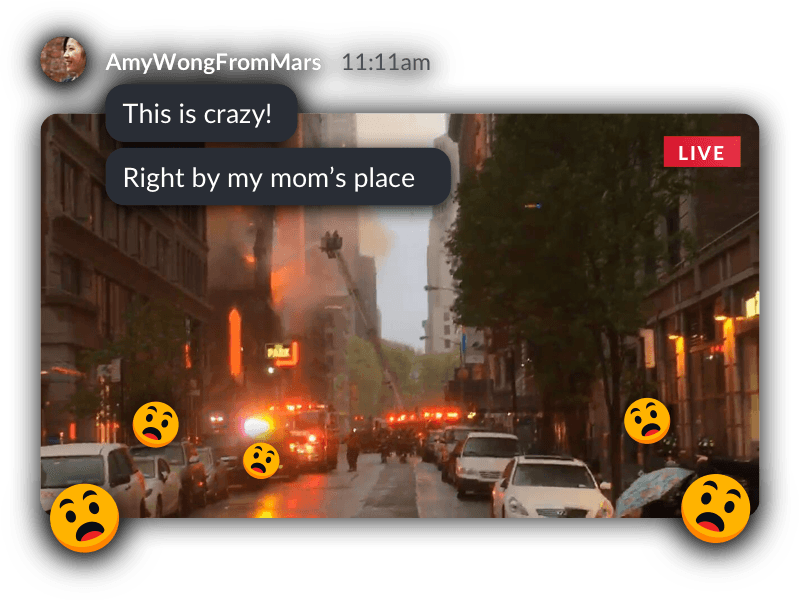 Users can comment on live video streams in real time with comments, emojis, and other information. 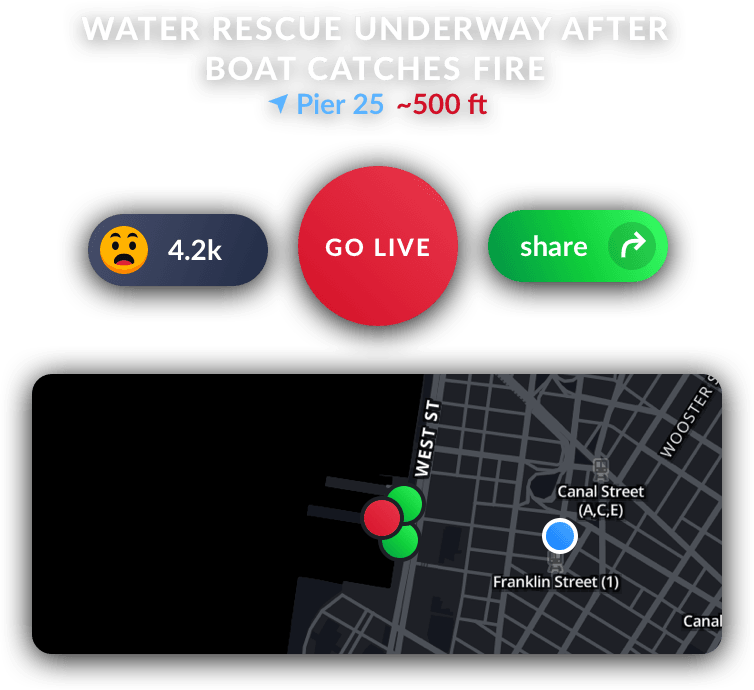 If a user is near the event, they are encouraged to ‘Go Live’ and stream video to the platform which can be viewed by others in real time. 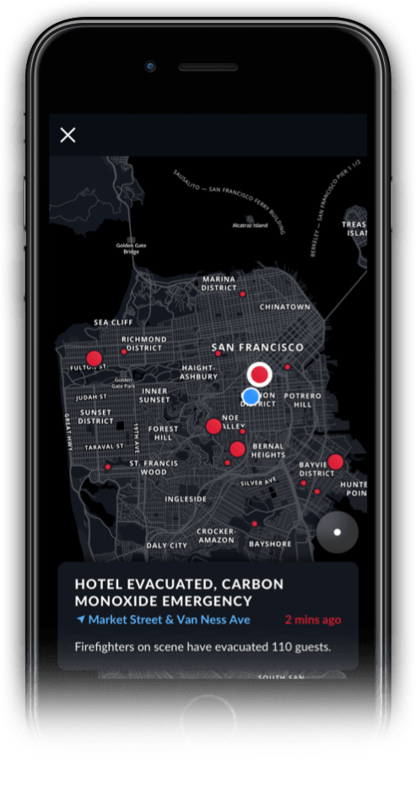 To further drive customer engagement, the platform asks the users to allow for real time alerts to notify them when crimes are being reported within a certain distance from their current proximity. In terms of managing the community, Citizen claims that every reported incident is reviewed by their team in real time and it is confirmed by scanning police radio before being made public. This seems like a crucial step, because sending out a fraudulent alert about a terrorist attack could literally generate panic. This point underscores why Citizen is such a fascinating case study in Network Driven Crowdsourcing Platforms and some of the major challenges it faces. Mainly, there is heated debate about whether this type of technology a good thing for society. Citizen’s mission has been extremely controversial and has received major pushback from law enforcement and other sources despite raising over $12M in funding from reputable VC funds including Sequoia. 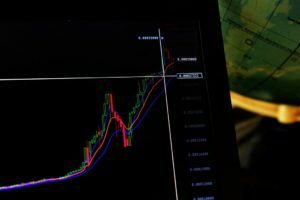 It appears that Citizen as a platform has major growth potential. Today, the platform is only operating in NYC and San Francisco. According to Buzzfeed, “Citizen claims to have approximately 250,000 people using it each month and has sent a total of 26.5 million notifications, Artz said. It plans to expand to several cities this year.” (6) In terms of scalability, the requirement to confirm incidents and reports before sending alerts could pose as the platforms largest bottleneck to growth. As discussed earlier, the consequences of a false report can be too massive. Is Citizen Policing the future? If so, the ethical questions about safety and responsibility must be worked out by our laws, society, and law enforcement agencies. Very interesting post; Citizen certainly brings up many interesting political, legal, ethical questions for consideration. On the value capture side, I’d like to echo your concerns on their monetization strategy. I think there’s a large risk of disintermediation with that strategy, as users would seek financial compensation or other rewards (fame, airtime, etc) from the news outlets buying up content. Another strategy could be to charge law enforcement agencies some sort of subscription fee for premium services created by Citizen’s unique data. However, this would likely increase the controversy surrounding this company only more. Great post, thanks! I don’t see a path forward for Citizen in its current iteration, as the lack of law enforcement support effectively caps the usability of app. Perhaps media outlets like BuzzFeed would want to partner with Citizen in exchange for access to breaking news footage, but I’m not sure that they would want to expose themselves to potential legal or ethical blowback from regulators. An interesting crowdsourcing case, for sure. Great post! “What happens if a user interferes with a crime in progress? These concerns have validity and Citizen does appear to be making efforts to discourage this type of behavior.” It comes to mind that this could potentially be a diversion tool for criminals to draw police attention somewhere else while they pull off a robbery or break-in.